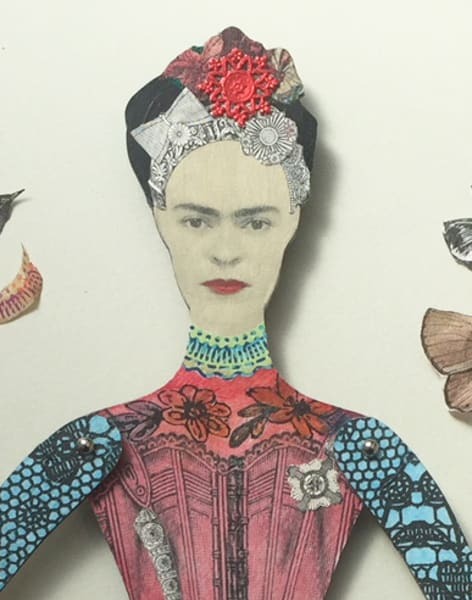 This workshop has been created to coincide with the upcoming V&A exhibition "Making herself up", where Frida Kahlo's wardrobe and personal possessions are being shown for the first time outside Mexico. You will spend a fun day in Gabriela's studio learning to use painting and decoupage techniques to create your very own art doll inspired by the Mexican painter. You don't need to be able to paint, draw or design as you will be guided through the whole process right from the beginning. 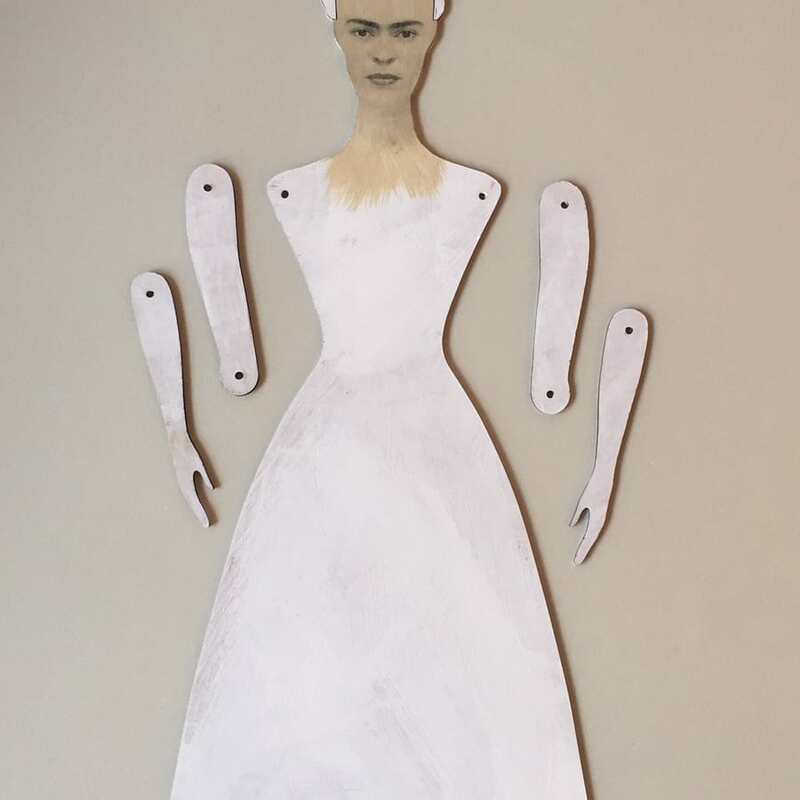 A primed MDF blank doll with Frida's face is supplied so that you can unleash your inner couturier and design a unique dress for her! 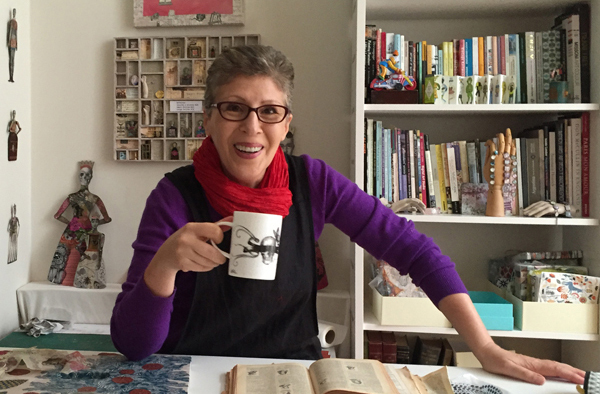 You will find plenty of inspiration in the studio as Gabriela has an extensive collection of photographs of Frida Kalho's clothing and accessories taken during her visit to the artist's house last year. A generous selection of beautiful vintage and contemporary papers as well as vibrantly coloured acrylic paints provides further inspiration and is available for your use. Please note that this is a small group experience to allow for plenty of individual attention to each and every one of the participants. To make the day even more enjoyable and fuel your creativity, a Mexican-inspired lunch and margaritas are included in the cost of the workshop! Please wear suitable clothes as you'll be using paint and glue. Bring an apron if possible. Do let Gabriela know of any dietary restrictions you may have. 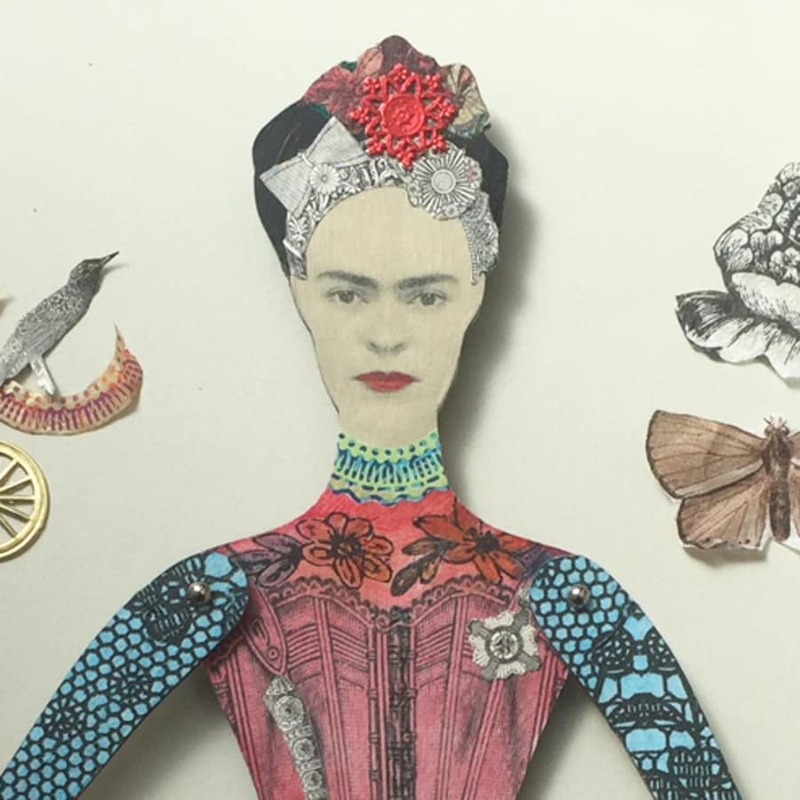 Want to get your decoupage fix now? [Click here to read my Obby Project](https://obby.co.uk/blog/obby-projects-upcycle-ikea-stool) on how to upcycle an IKEA stool with decoupage.